Leeds College of Music is to host Nikki Iles and Stan Sulzmann in a special workshop on December 2nd. 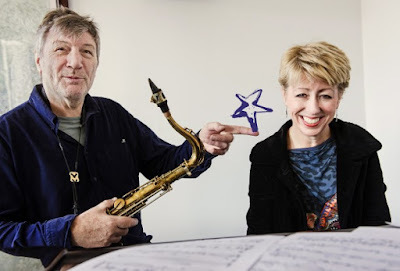 The workshop will focus on duo playing and improvisation and who better to learn from than a pair of musicians whose musical friendship spans over 20 years and two duo albums? Pianist Nikki Iles has a long connection to LCoM, first studying there as an undergraduate and later teaching piano. Recently, Nikki was asked to direct an all-star alumni big band to celebrate the college's 50th birthday. This workshop is open to the public and tickets cost just £5. For more information and to book tickets, visit the LCoM website.